Abdellah Hammoudi (Princeton University) will give a public seminar on "The Trouble of Alterity and Anthropology: the Challenge of an Ethnography of One's Own Society" at the Max Planck Institut for Social Anthropology, Halle (Main Seminar Room, Advokatenweg 36) on 24 January, 4:15 - 6 p.m. 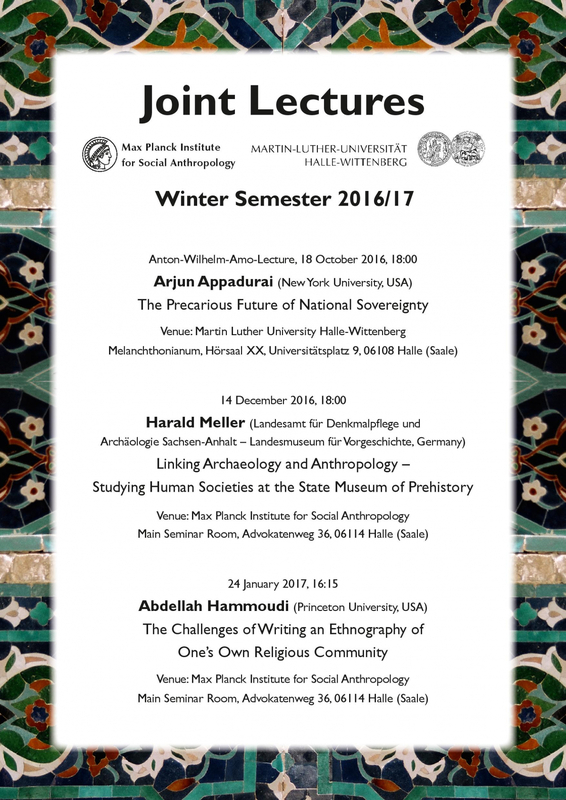 The seminar is part of the Joint Lecture Series of the MPI for Social Anthropology and the Seminar for Social Anthropology, MLU. In a volume recently edited with J. Borneman, we insisted on fieldwork with a deep long term interlocution with the people we work with. This was one way of redefining the task of our discipline after years of deconstruction and “writing experiments “. As a sequel to that effort I have been reflecting on my position as a an anthropologist who has conducted most of his fieldwork in his own country and writing about his own society .This has been called “anthropology at home “, “auto-anthropology“ or [more recently ] “endo-anthropology“. It has received a fair bit of attention since the abolition of the so called “Great Divide “, with anthropologists working in non-western places as well as western ones. Examining the practices involved in endo-anthropology, I want to ask two questions: 1.what sort of an experience does it bring into the discipline? 2. What transformation can it bring into the practice of anthropology? I intend to use the findings from the response to those questions in order to speculate on the possible uses of colonial anthropology, and to reconsider postcolonial discourse.